Less than two years after Ola acquired rival cab hailing startup TaxiForSure, Ola has decided to lose TaxiForSure and shut down its operations. According to the VCCircle report, 700 employees have already been laid off and more heads are expected to roll. The affected employees largely belonged in the support and back operations teams. The people who are being fired include mid-level managers hired from premium business schools. 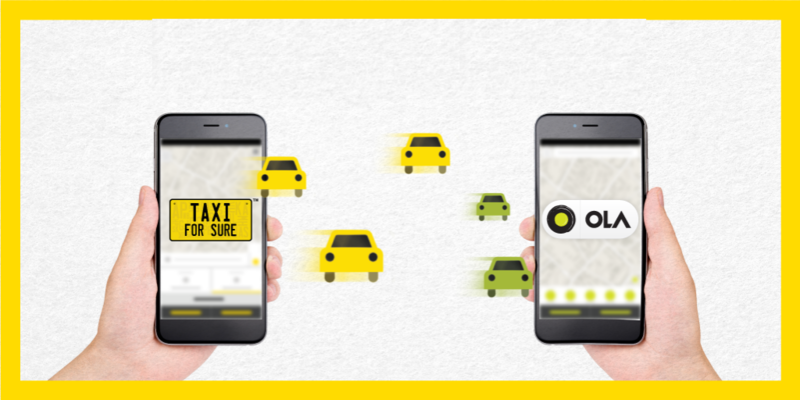 Ola had acquired TaxiForSure for $200 million (around Rs. 1400 crores) in one of the biggest deals in the Indian startup ecosystem in early 2015 to gain an edge over rival Uber. But since the acquisition, both Ola and TaxiForSure had been unsure about TaxiForSure’s place in the Ola world. While in some cities, TaxiForSure had simply migrated to Ola and continued to operate within the Ola app, in others it ran as an independent business. TaxiForSure was last active on social media in April. The layoffs come at a time when the Softbank-backed Ola is trying to curb burn rate and continue to gain market share over arch nemesis Uber, which has been buoyed with an additional $1 billion of play money in India. The axed jobs are estimated to save the company about Rs. 30 crores a month. The laid off employees are reportedly being given 3 months’ salary as severance package. However, the company is yet to release an official statement on the same. Here’s $200 million worth of business meeting an unfortunate, but not entirely unpredictable end.